Here’s what we have coming up at FILMBOX Beckenham – book an Autumn & Christmas treat today. Here’s what you can see at FILMBOX this Autumn (we have a big post-Oscars/BAFTAs ‘catch-up’ in our Spring/Summer seasons so here we’d like to explore more unusual but excellent alternatives to Hollywood). 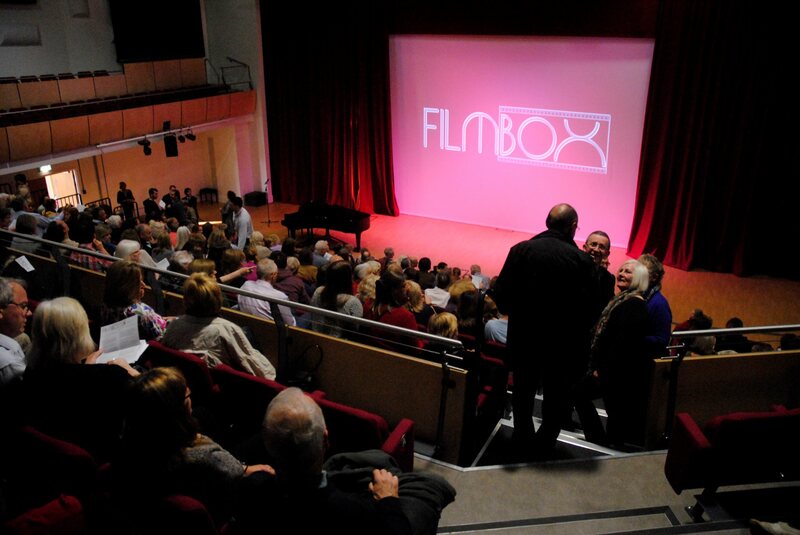 Non-members are always welcome at FILMBOX – but if you want to see films for only £5 (memebrs can buy two tickets for only £5 each), becoming a member is your best option. FILMBOX members are in charge of this event and are having a vote-off for what they want to see! We’ll announce which one they’ll choose on Mon 29 September when booking will be open to all. FRANKENSTEIN/BRIDE OF FRANKENSTEIN – Rarely seen on the BIG screen – two Universal Gothic Horror classics from the 1930s – James Whale’s Frankenstein (70mins) and The Bride of Frankenstein (75mins)- free hot snacks in the interval! Both cert PG – under 16s welcome. Starts earlier than usual at 7pm. Book these great films NOW open to EVERYONE to book – store up some treats for Autumn and Christmas! SPECIAL OFFER: You can book our Thursday film this week, the enchanting award-winner of last year, THE LUNCHBOX (see trailer link below) for only £5 per ticket (usually £9 to non-members) as an introduction to FILMBOX! Book under the members’ section using the offer code: TIFFIN. Licensed bar opens 6.40pm, film programme starts at 7.30pm – FREE parking. Simply ice cream….mmmm! Here’s what you can see at FILMBOX this Autumn (we have a big post-Oscars/BAFTAs ‘catch-up’ in our Spring/Summer seasons so here we’d like to explore more unusual but excellent alternatives to Hollywood). BOOK HERE – http://www.ticketsource.co.uk/filmbox – Members will be sent booking codes for online booking. Booking is open to ALL 7 days or more before event (except for FROZEN Sing Along in December – which is open to non-members’ booking NOW!!!). NB: All films are subject to availability and possibly subject to change – but if it is for sale on Ticket Source, consider it confirmed. Please note that we will decide on one of two screens (one seats 418 and the other 90), depending on the level of ticket sales/availability (without notice) to make the best use of our resources. THURSDAY 11 SEPT 2014 – OPEN TO ALL FOR BOOKING NOW! MY NEIGHBOUR TOTORO is a superb children’s adventure! 2pm (cert U) – dubbed into English. Under 16s welcome. . THE SOUND OF MUSIC – SING ALONG. From 7pm – BBQ & BAR too, sing along to your heart’s content – don’t forget your wimple (cert U)! Under 16s welcome. INDOOR, but in a big open space, so bring your own chairs, blankets, cushions for an indoor RAINPROOF picnic! FILMBOX members will be in charge and have a vote-off for what they want to see! Details will be emailed to members and results posted on our website. UNDER THE SKIN: Brit sci-fi in a class of its own. Starring Scarlett Johanssen as an alien with a particular interest… (cert 15). 7.30pm. 16+ ONLY.